The US Non-Farm Payroll report is due out at 1.30pm today. This is a report of HUGE importance and has an impact on all markets. Due to this report due at 1.30pm and the HUGE move in the market yesterday, No pending orders were placed and there will be No trading till 1.30pm. The pending SELL order just below the Support of the Market at 14805 was taken at 1.30pm and the profit target of 60points was achieved within 5mins. 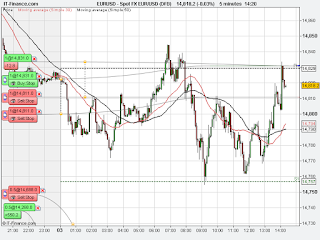 The pending BUY order just above the Resistance of the Market at 14876 was taken at 7.45am with a 20points Stop Loss and 60points Profit Limit in place. The EUR European Central Bank Rate Decision is due to be announced at 12.45pm. The market tends to trend sideways prior to reports of HIGH importance such as this. 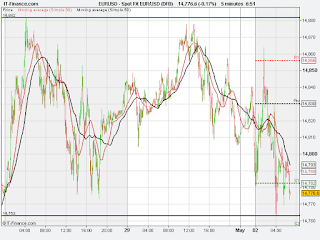 The market is currently trending sideways and has also formed Resistance and Support levels. 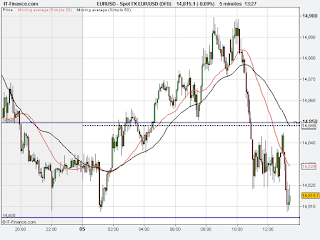 A pending BUY order has been placed just above the Resistance of the Market at 14876 and a pending SELL order just below the Support of the Market at 14805. 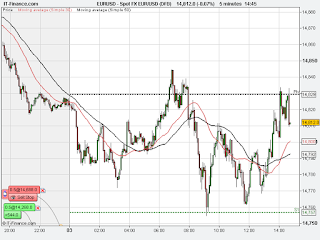 The Profit Target of 60points was achieved at 1.05pm. No further trading today. 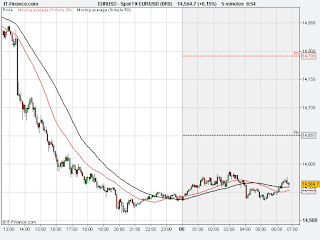 The market has moved halfway (30points) towards the Profit target of 60points. The Stop Loss has been moved to the opening level of 14828 in order to protect capital. The last report of HIGH importance is due out at 3pm today UK time. The market tends to trend sideways prior to reports of HIGH importance. 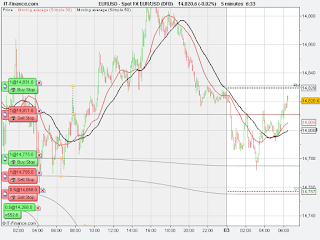 Trade with caution prior to 3pm. 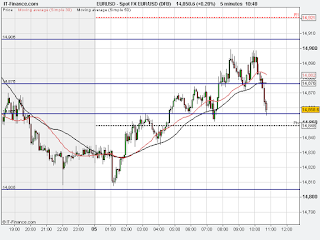 A pending BUYorder has been placed just above the Pivot Point at 14828 and a pending SELL order just below S1 at 14760. The Stop Loss of 20points was taken at 2.40pm. This is the 3rd consecutive loss for today. No further trading today. The pending BUY order just above the Pivot Point at 14831 was taken at 2.05pm with a Stop Loss of 20points and Profit Limit of 60points in place. This is the last trade for today. The first 2 trades for today have been losing trades. Now preparing for the 3rd and final trade for today. 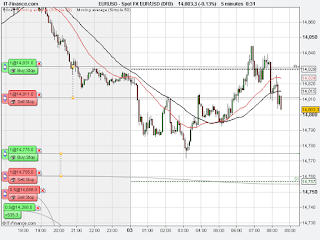 The pending SELL order has been placed again just below S1 at 14755. 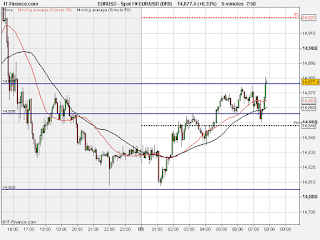 The pending BUY order just above the Pivot Point at 14831 has been left in place. The pending SELL order was taken at 9.10am with a 20points Stop Loss and 60points Profit Limit in place. The market is now downtrending, making lower lows and lower highs and below the MA50. 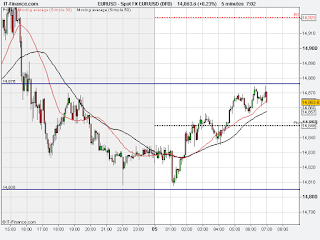 A pending BUY order has now been placed just above the Pivot Point at 14831. 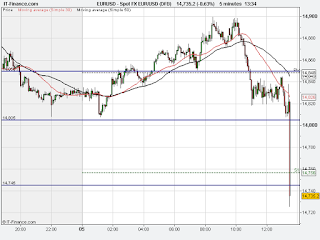 The pending SELL order remains the same just below S1 at 14755. 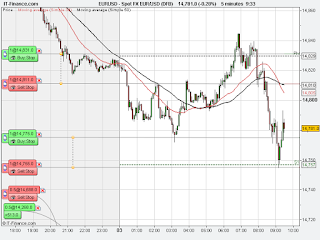 The Stop Loss was taken at 7.55am with the loss of 20points on the 1st trade of the day. 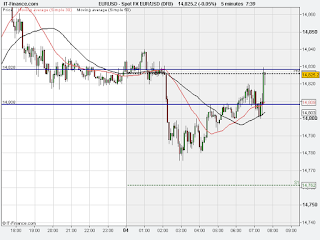 A pending SELL order has been placed just below S1 at 14755. A pending BUY order has not been placed yet. Wait to observe the trend of the market. The pending BUY order just above the Pivot Point at 14831 was taken at 6.40am with a 20points Stop Loss and 60points Profit Limit in place. A pending BUY order has been placed just above the Pivot Point at 14831 and a pending SELL order just below S1 at 14755. Today is a public holiday in UK. The markets tend to trend sideways during a public holiday. The market is currently trending sideways. No pending orders were placed.